Sailing is nerdier than you think. You rarely have the wind at your back. The sails act as airfoils as the wind passes over them at certain angles. As the sail opens, lift is created. That lift drags the boat along the water. Pretty awesome right? Well, let's throw another level of nerdy in there with an iPhone compass app. An augmented reality app that's actually useful is a rare find. Compass Eye produces a real time compass that's overlaid on top of the iPhones camera view. Sailors can set multiple bearings and switch between magnetic north and true north. 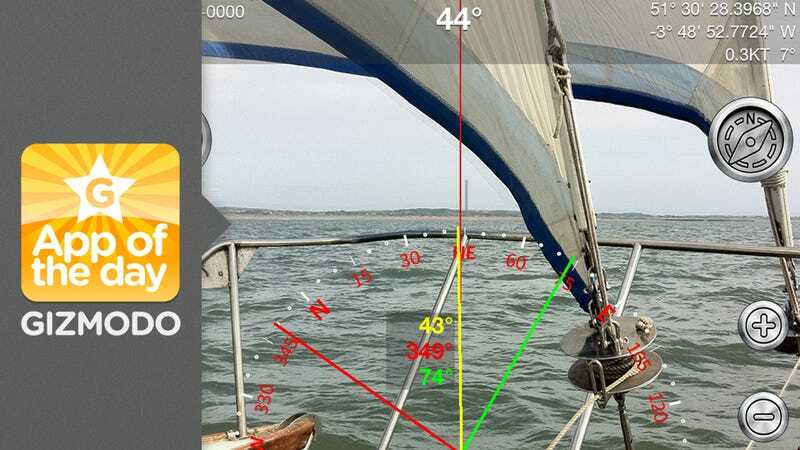 The app is marketed specifically for sailing, but it can be used for hiking, biking, really anything where you need to set a specific bearing. The app's compass works way better than the iOS default compass and I don't have to wave my iPhone in the air every time I launch the app. The app also features a camera zoom. It's like a bad pair of binoculars, but it's a nice touch. and finally, when the iPhone is laid flat, the app switches to map mode which is helpful when you're on land or at sea.